People commit unthinkable acts every day. Time and again, we grapple to understand what drives a person to do such terrible things. But what if all of the questions we’re asking are wrong? What if the cause of all evil is not a matter of what…but who? 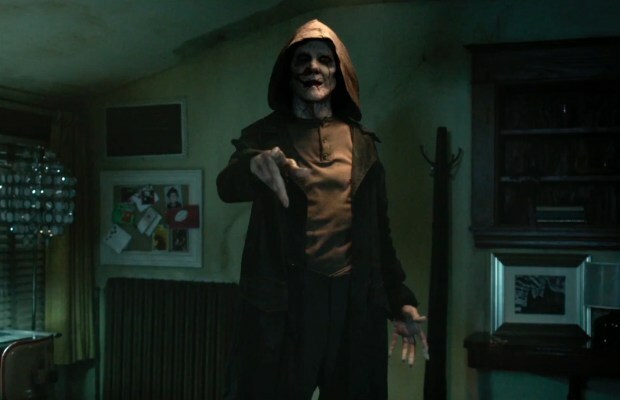 ‘The Bye Bye Man‘ gives us that answer. The project stars Doug Smith (‘Ouija‘), Lucien Laviscount (‘Scream Queens‘), Cressida Bonas (‘Doctor Thorne‘), Jenna Kanell (‘The Vampire Diaries‘), Carrie Anne Moss (‘The Matrix‘), Faye Dunaway (‘The Thomas Crown Affair‘), Doug Jones (‘Pan’s Labyrinth‘) and Michael Trucco (‘Battlestar Galactica‘). This entry was posted on Saturday, March 11th, 2017 at 10:08 pm	and is filed under Film, News. You can follow any responses to this entry through the RSS 2.0 feed. You can skip to the end and leave a response. Pinging is currently not allowed. « Film Review: ‘The Dark Below’!